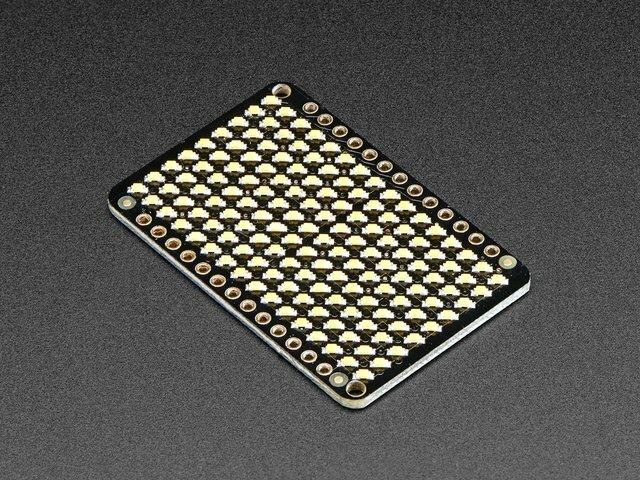 The IS31FL3731 has a lot of pins, and we wanted to make it easy to use with a breadboard while sandwiched with an LED matrix. 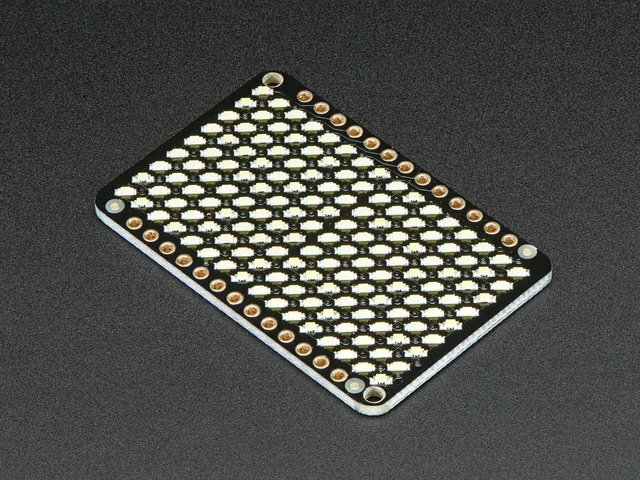 The easiest way we could figure out to do this is make the board as large as our 0603-LED 16x9 matrix grids and have a control header on one edge. 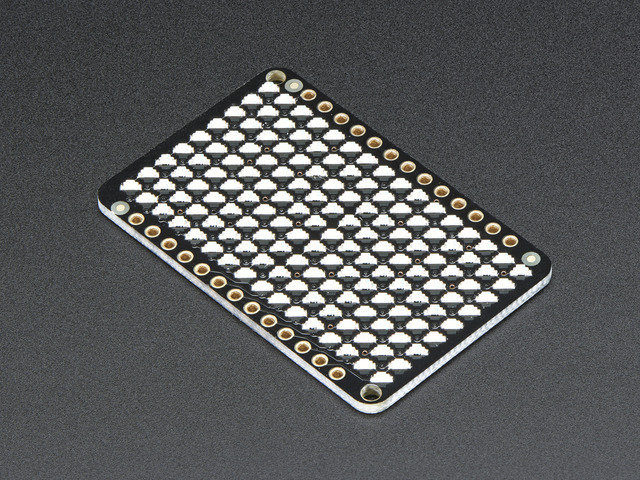 That way you can solder the two long headers directly to the matrix and still have access to pins for power and data. You can power the IS31 from 2.7-5.5VDC, but note that the same voltage is used for both power and logic. If you are using a 5V logic device, just connect VCC to 5V. 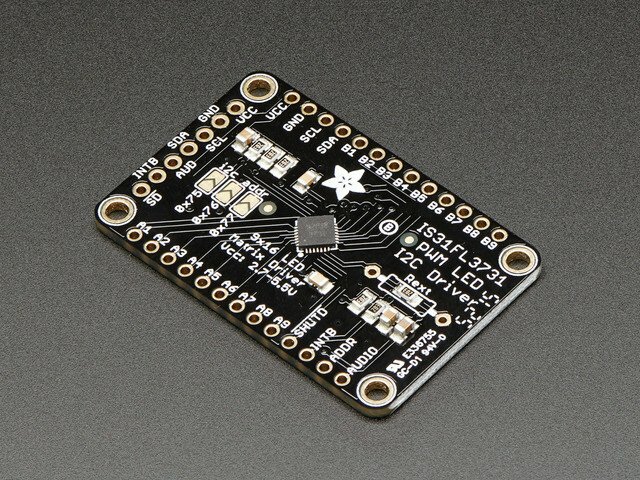 If you are using a 3.3V logic, you can either power with 3.3V, which will work fine for red, yellow or light green LEDs or you can power from 5V and then use ~2.2K resistors from SDA and SCL to 3.3V to 'overpower' the built in 20K pullup resistors. AUD - Audio input, can be used to modulate the entire display with the amplitude of a line level audio signal, has a series capacitor installed. This guide was first published on Mar 09, 2016. It was last updated on Mar 09, 2016. This page (Pinouts) was last updated on Apr 20, 2019.